Milan, New York, London and finally Paris Fashion Week. The whole world seems to be in Fashion Week fever right now. 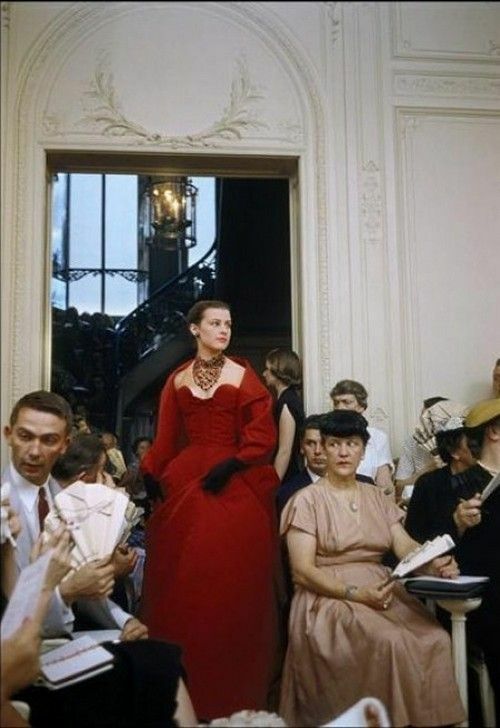 As I am totally in love with Paris, its fashion and the French people - so in love that I teach their language today - I thought it would be time to take a look back into Paris Fashion Week's past. Paris just has this certain je ne sais quoi...., don't you think? 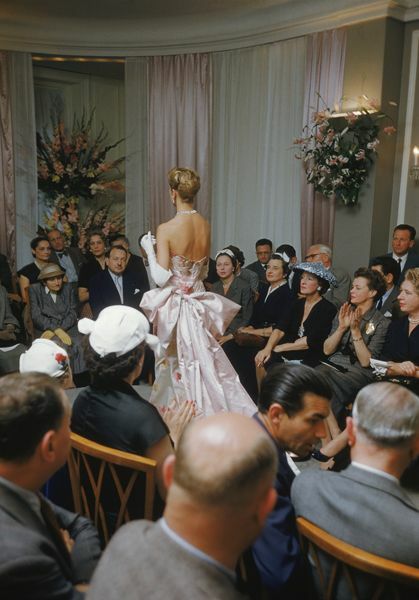 Although the late 1940s and the early 1950s were a time of great interest in fashion and haute couture, Paris fashion week was a quite intimate thing. 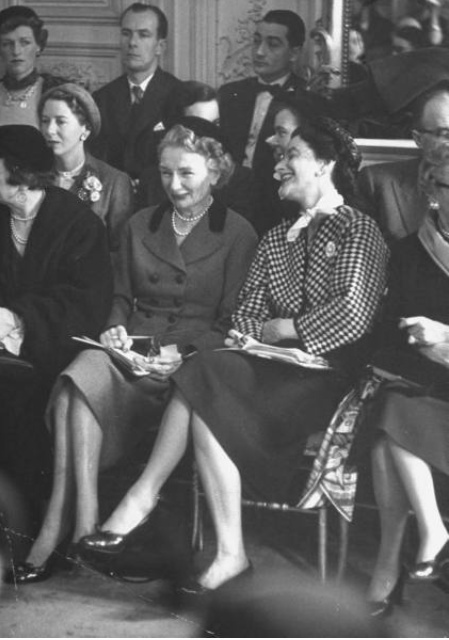 During the fashion shows, the models often had to meander through the ranks of buyers and editors. Unlike today with all the streetstyle photographers, bloggers, TV crews and the hundreds of hangars on, Paris Fashion Week was mainly an exclusive event for the people of high society. Strangely enough, from today's perspective, it was not unlikely that the potenatial buyers at Paris Fashion Week pawed and grabbed at the model's dresses during a fashion show. In 2012, China Machado, on of the best-paid models at that time, talked about these buyers, who, according to her, were a little too touchy from time to time. The work of the photographer's and the fashion editor's of that time at Paris Fashion week was not the easiest. 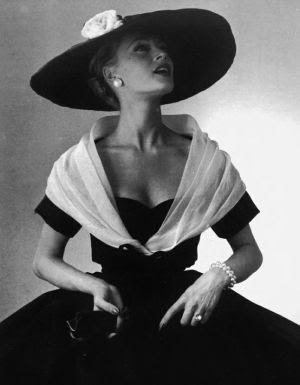 As the designers needed their clothes during daytime to show them to their buyers, photo shoots for the well-renowned fashion magazines, such as Vogue and Harper's Bazaar, had to take place at night. 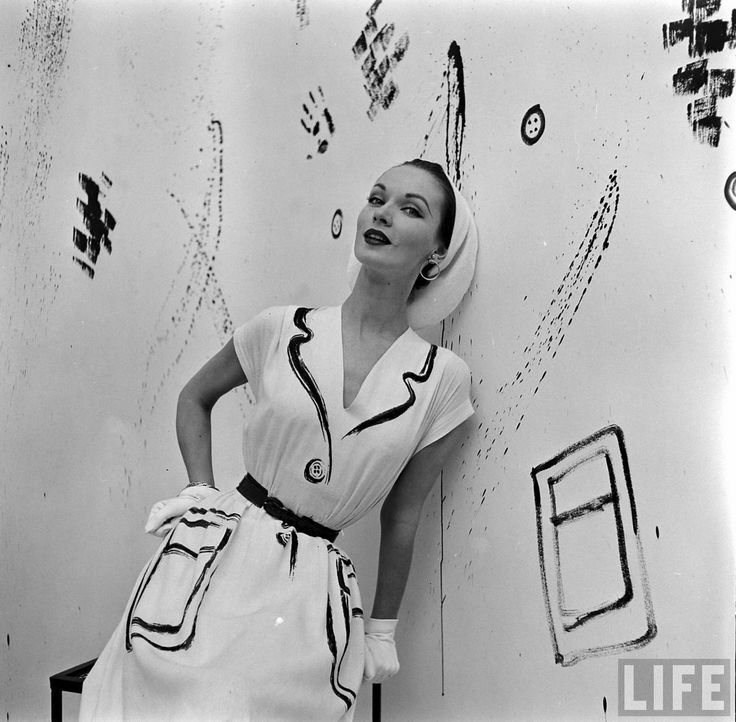 By the way, Carmel Snow, Harper's Bazaar Paris editor-in-chief and Bettina Ballard, Vogue fashion editor were two of the most powerful women in fashion at that time (not at all surprising to us). No wonder that the public supposed them to strong rivals in this exclusive world of high fashion. As far as age is concerned, the average model at Paris fashion week was in her late twenties, early thirties. Unbelievable. The average model age during fashion week today is between 14 and 15. And for more nostalgicParis fashion week moments watch this short but pointed film from The Telegraph in order to feel the Parisian atmosphere and in order to discover that "Paris fashion week in the fifties was a time when black was the colour, the dresses are longer, fringes are rife and tweed is flourishing." A wonderful sunny Fashion Weekend for all of you!! !